As with her defense of SB 1070, this hyperbole fuels a political position unsupported by facts. The burden Brewer fears doesn’t add up: Putting aside the fact that people with deferred action are not eligible for public benefits (like welfare or food stamps), Gov. Brewer is targeting 80,000 potential deferred action beneficiaries in a state with 6.5 million people. That’s 1.2% of the population. More importantly, these are 80,000 young people. They are not going to suddenly overwhelm the school system because many of them are already in it. And those who are out of high school might be persuaded by the Obama initiative to attend college, meaning that colleges would collect tuition they wouldn’t otherwise receive. Moreover, the deferred action beneficiaries belong to an age group (30 and under) that places few demands on the healthcare system, meaning that emergency rooms will not suddenly be overwhelmed by a flood of sick people clutching Employment Authorization Documents given to them by the Obama administration. With respect to driver’s licenses, the ACLU of Arizona quickly noted that Brewer’s executive order may actually violate existing law and policy in the state. According to the legal provision cited in her executive order, applicants for drivers licenses need only establish that their “presence” in the United States is authorized. While recipients of deferred action may lack valid immigration status, the Arizona ACLU notes that these young people will have authorized presence under the immigration laws. What’s more, the list of acceptable documents on the website of Arizona’s Motor Vehicle Department includes Employment Authorization Documents and Social Security cards—both of which are available to recipients of deferred action. Thus, in the name of protesting federal immigration policy, Gov. Brewer may have contradicted the law of her own state. While it has been widely acknowledged that issues like access to drivers licenses and in-state tuition are likely to be different on a state by state basis, there is something both petulant and short-sighted in Brewer’s effort to make life even more difficult for young people eligible for deferred action. 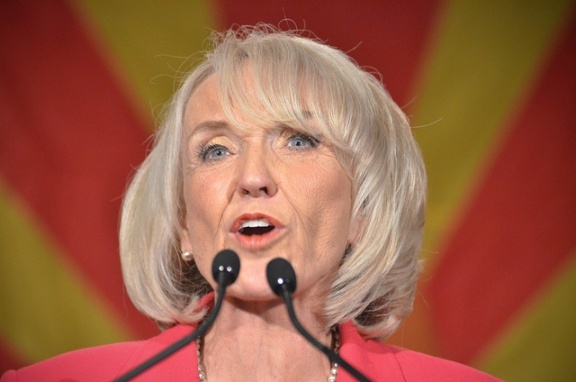 At a time when many in Arizona may have felt that they could start to put the worst of SB 1070 behind them, the governor has once again shown how relying on misguided facts lead not only to bad policy but bad publicity.